Hey @arvisto thanks for your reply. Currently I am actually using timeline capabilities by extending to user, group and model. I am working on a social network application, which has timeline types User, Page and Group. I have an argument with another team that they don't feel to have user relation in Timeline. I have all the relation methods in the Timeline.php so that I can fetch timeline and its respective type. @ArneetSingh you can add the csrf/acces token in resource headers like below. and in main js file , import and define the directive in Vue instance. bootstrapguru left a reply on Can I Use Laravel 5.3 Passport As General Auth For A SPA To Laravel API? Admin logs in to the app where he will get client secret id and password. and if that returns success and then another request using vue-resource and get the access token. I am pretty sure its the bad way to do but I had no other choice at the moment. Another thing is : I can return access token during the first request but my problem is, I am developing SPA where the front end is used to in cordova and also the electron for desktop apps. This is multi vendor application where people will have their own instance of database. so customer signup on my site to create his instance of subdomain and then he need to authorize the first party app(desktop or mobile) by providing the subdomain name , username and password. Once the admin authorizes the app, the local app will have client id and secret which is stored in localstorage. If any employee or team member of the same company wants to login, they can just provide username and password to get the accesstoken(using password grant), here client id and secret from localstorage is posted to password grant route. Hi Guys, Hope everyone doing great. I am stuck with some query which seems to be easy but still I am not able to get it. 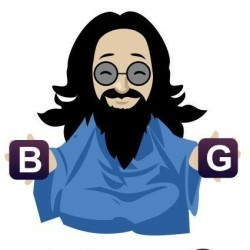 bootstrapguru left a reply on Foreach Users Who Clicked Like On Post. @adiachenko thanks man, that solved the problem. Hi @adiachenko Thanks for your reply. I am using 3.10.6 and downloaded the laravel as it is and tried it without any changes. can you try installing and try it for me ? npm WARN deprecated [email protected]: graceful-fs v3.0.0 and before will fail on node releases >= v7.0. Please update to [email protected] as soon as possible.Use 'npm ls graceful-fs' to find it in the tree. npm WARN deprecated [email protected]: graceful-fs v3.0.0 and before will fail on node releases >= v7.0. Please update to [email protected]^4.0.0 as soon as possible. Use 'npm ls graceful-fs' to find it in the tree. when I run gulp I have an error, did I miss something? bootstrapguru left a reply on Compressing High Resolution Images! // I want to assign comments fetched as response.json to one of the posts attribute "comment"
so I got posts of the user and the people whom he is following..
How do I generate token to send post/put data to the api which is created on top of laravel? I want to post the data from android app . Any help would be highly appreciated. all I am looking is to get a video link using video id and permission thing(api key). yeah I used vinkla/vimeo , seems like you are the one who created it. I did not find much documentation, so I should refer to vimeo official api repo ? and also let me clearly explain you my requirement, so that you can really suggest me right path. I am trying to create a video streaming site which is similar to laracasts.com , I mean I will manually add videos to vimeo pro account and when visitor pays for the video I need to able to show the video bringing the vimeo video source with some api key. not just the url (http:://vimeo.com/video_id). let me know if I am bad at explaining this, I will try better. Can anyone suggest me the best package for vimeo using laravel? please don't google and give me the answer, I did that already. Just looking for answer if any had earlier experience and found to be good for the project? bootstrapguru left a reply on Dash In Domain? I want to retrieve some records always where status=1, can I declare this in the Model class? and if I want to retrieve pending items something like status=0 , I want to fetch these pending by specifying status.